You know how you buy one thing. That one time. Just because it’s a good deal. And then you start seeing similar things at yard sales for a buck or two and you think, why not? And next thing you know, you have yourself a bona fide collection? Well, that’s what happened to me with thermoses. Believe me, I never started out one day saying “Boy, I really need to have a collection of used insulated coffee holding devices which probably don’t even work anymore and who-knows-who has drunk out of”. I keep my collection in my kitchen on the counter next to the almost never used mixer. Although, now that’s I’m typing this, it would make so much more sense next to the almost never used coffee maker. I found my newest addition to my collection at an estate sale. An Aladdin brand thermos that has a weird, rubbery plaid covering on the base. It sort of feels like the bumpy shelf liner stuff they sell nowadays. And it has a cork instead of a screw on cap! How cool is that? When I saw it, I thought it might be a very, very, very old thermos from before they invented screw on caps. But then that very same night I was watching The Odd Couple and saw an episode where Felix was filling up Murray The Cop’s thermos with hot coffee. And Murray’s thermos had the same type of cork in it. So I guess it’s not any older than the 60’s or 70’s. And is it totally weird that the very same day I bought this thermos is the day I saw that particular episode? What are the chances of THAT! The same kind of “Twilight Zone coincidence” happens to me frequently too. Maybe I watch too much TV. I love old thermoses; I have 4 in different shapes & sizes. One has the same cork in it; I thought it was older too. Yours look so cute all together! That IS a weird coincidence…and I love your new thermos, and your whole collection! Did I tell you this already, but the other day I was watching Downton Abbey and they had my same vintage inhaler in the episode. I was tickled. I like your collection, but I think they should go by the coffee maker….or maybe??? a Perkolater??? That’s wild! I ran across a blogger from LA a while ago and her job was finding weird stuff at flea markets to put in movies. Sounds like my kind of job! I think I have drunk from every one of those except the wrinkled cover. Oh how funny! I’ve never seen one of those or just don’t remember it. My daddy always had a thermos of coffee when we went on car trips but I don’t remember the lids. I do like your collection. Thanks. Once I started collecting them I started seeing them all over the place. Your thermos collection is really cute. I have a couple of vintage thermoses that I use. Those old glass liners sure work great! that you saw this one on The Odd Couple! 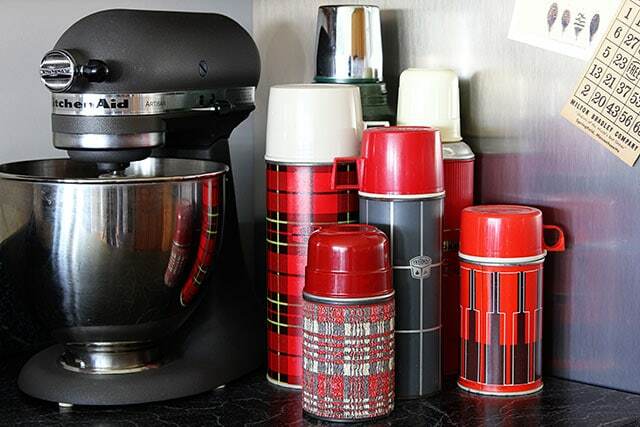 I love your thermos collection. I try to steer away from collections–more stuff more to dust. But who am I kidding–I have a ton of stuff anyway. Your collection looks great! The whole accidental Thermos collection happened to me too. 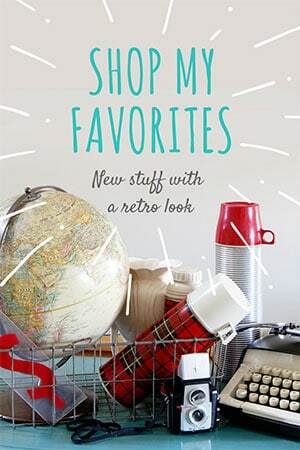 It started with a super cute green Holiday one at an estate sale and snowballed from there. But who am I kidding? That’s how every single one of my collections started. I really like your newest addition. I can just imagine the feel of that crinkly thermos. Super neat. I have four vintage thermos in my collection. They were used this winter at our ice skating rink. I picture them in my imaginary cottage/cabin someday. Happy collecting! Love the thermos with the cork. That is a strange coincidence for sure, seeing it on tv. 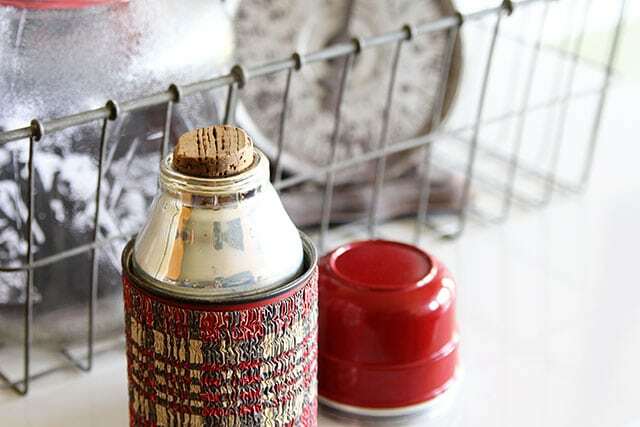 I remember taking a thermos to school that had a cork in it…and Lord forbid that you had any kind of thing that turned sour in there-the cork always held the smell! Did you plan for the height to be different on each Thermos? If you didn’t, then THAT is spooky!!! 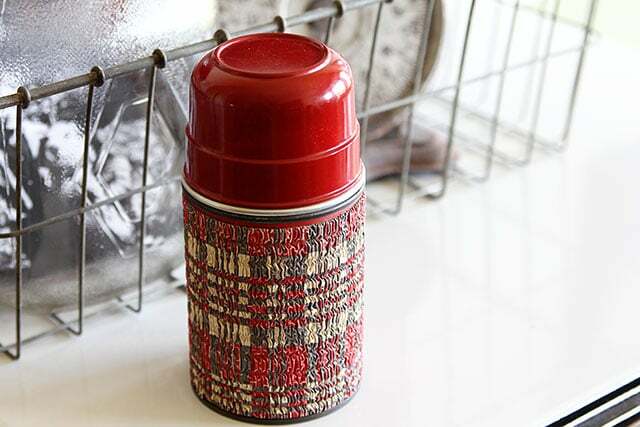 Do you still collect Thermos brand items? I recently came across a vintage Thermos Jumbo Vacuum Jar with a set of bowls inside it along with a metal bowl with lid to carry hot lunch, I’m assuming. Anyway I have no idea what to do with this thing so any recommendations on where I could sell something like this would be greatly appreciated. Thank you. Very interesting. I am trying to find some information about the Scotch brand thermoses. I have found zero. 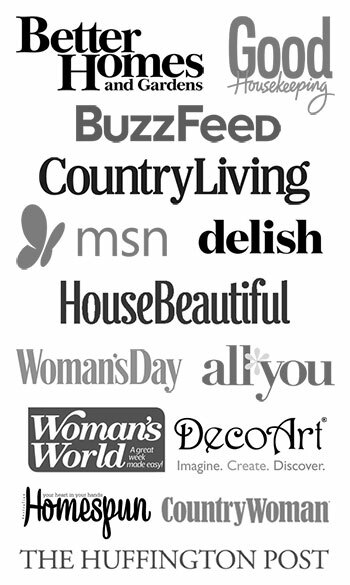 Is there a good site I can visit that will tell me about it? Thanks so much. The Skotch Kooler brand of picnic jugs, coolers and thermoses was made by Hamilton Metal Products in the 50’s and 60’s. I wonder if that’s what you’re referencing (notice the K’s in the spelling of the brand, instead of the traditional spelling)? I have a photo of a few of mine on this Christmas decor post – https://www.houseofhawthornes.com/vintage-eclectic-holiday-home-tour/. And there is a company called Skotch Kooler USA which is reproducing them and they have a tiny bit of info on the company – https://skotchkoolerusa.com/pages/our-story.